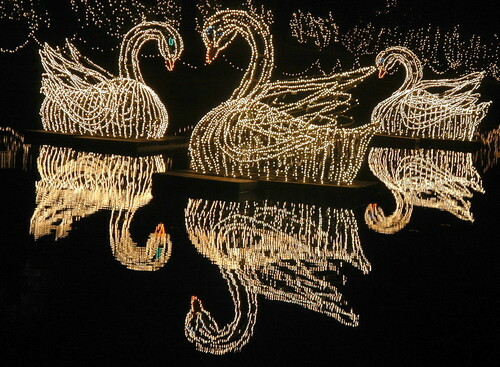 Magic Christmas in Lights at Belingrath Gardens. Enjoy a cherished holiday tradition at Bellingrath's Magic Christmas in Lights, one of the most popular attractions in the Southeast. Stroll through the Gardens to view 3 million twinkling lights in 1,100 custom-designed set pieces and 15 scenes. All set pieces are designed and created on site by the Bellingrath staff. Tour the Bellingrath Home decorated in its holiday finery. Santa will be on hand for photos each night through Dec. 23. Complete your holiday shopping in the beautiful Bellingrath Gift Shop! Magic Christmas in Lights will closed on Christmas Day.